Maps can be traced back over 5000 years, being an incredible tool not only for those following the directions but for keeping records for those making the maps. A cartographer is a specialist that draws and creates maps adhering to mathematical rules to ensure every aspect is exact. The first maps thousands of years ago didn’t depict whole countries or states, instead they were used for small areas. One popular way to use maps was to take a scale of a battle field, the entry and exit points along with undulations in order to prepare for fighting. Pictures rather than words were often used, while many were actually seen as a work of art rather than a point of reference. They were expensive to make and often only owned by those considered wealthy within a community. They didn’t follow any compass points at all. Instead they’d simply follow the mind of the creator, depending on his position at the time. This of course meant it was an advantage that the maps were very small as no doubt they would have been turned a lot to determine the exact locations. The word map comes from the Latin word mappa meaning napkin or cloth, yet the earliest maps were engraved onto clay. China began recording maps on silk but it wasn’t until thousands of years later that paper or cloth was used. Until the arrival of the printing press Monasteries dominated the map world, probably because Monks were the only people who had the time to devote to cartography. As publishers popped up all over the globe, in the 1600’s maps became available to everyone and many had their own views of how they should be drawn. Ideas changed dramatically, especially as there were still countries to be discovered, yet maps made it possible for explorers to find unchartered land. In this time maps were as exact as they could be with the resources to hand. They were also used to depict areas of disease or famine in order to give instant information to others. Today maps could not be more exact, satellites ensure every detail is accurate to the nearest mm. Maps have never gone out of fashion, in fact today they are more popular than ever as the internet expands and people realise the value of visual information. Essential for almost every human endeavour, a world without maps would be like an atlas without a world. 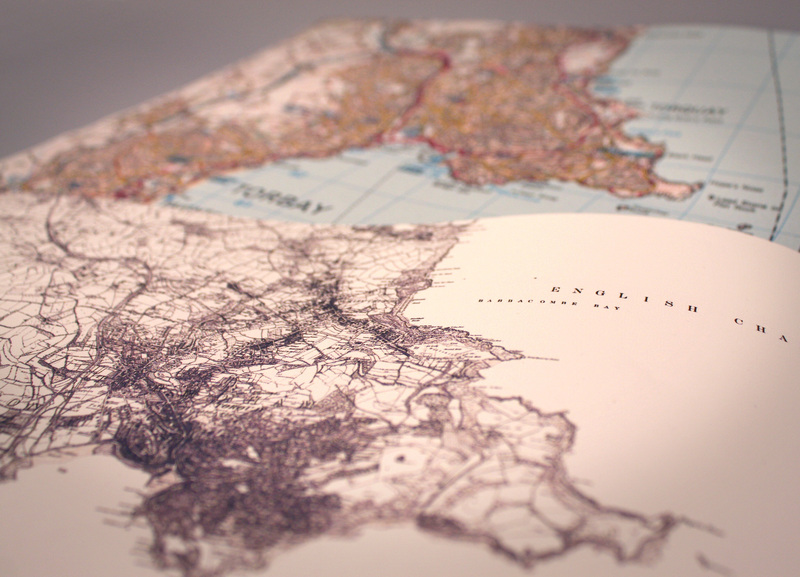 A personalised map gift can make the perfect surprise present this christmas.